I've been wanted to make one. 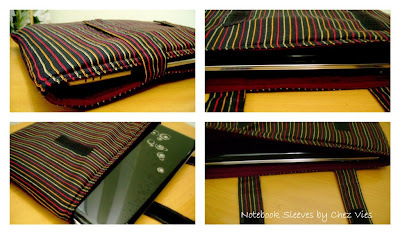 When I saw this stripy handwoven cotton I know it's going to make a good laptop sleeves, so here it is. 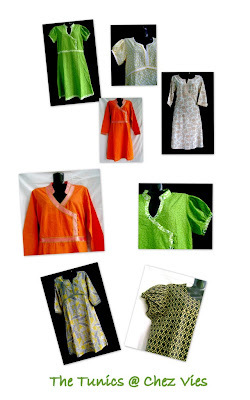 Lightly padded with sponge & lined with soft cotton. 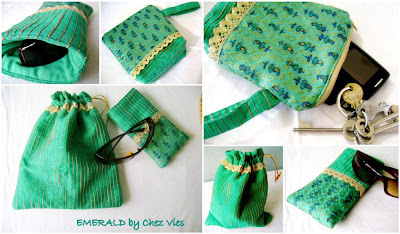 The POUCHES come in PINK & Emerald. 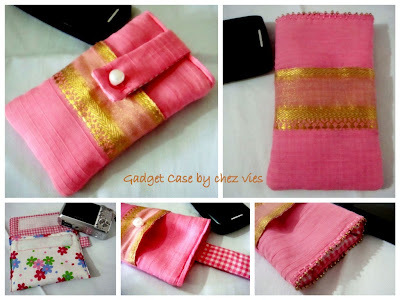 The pink one is made of handwoven cotton. I sort of have this imagination that it will be make a good mobile pouch and all. But somehow I'm not too satisfied with the result...but no idea what was wrong with it. The EMERALD ones are my favorite. I have these 2 fabrics for a long time. I even listed in my supply shop and sold one batch of fat quarters. The rest I just thought I'll use it up. both the fabric is cotton silk. I embelished with matte golden lace. What do you think?